Recorded sessions of our fifth “lunch and learn” webinar series, illustrating how to use model based design for a new build development are no available below. 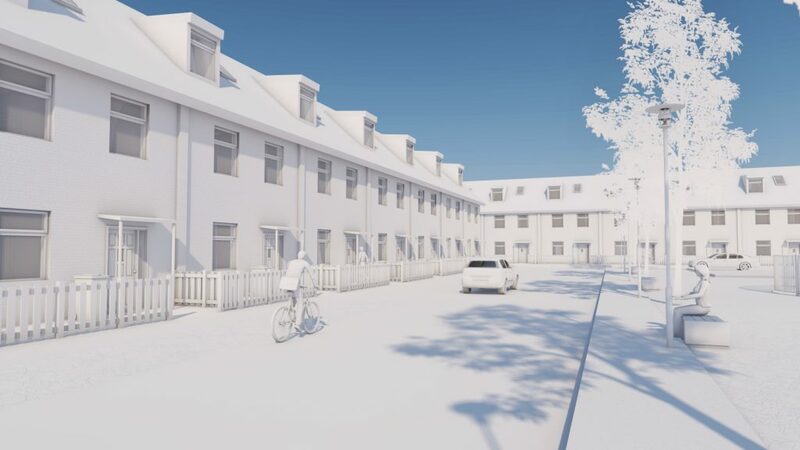 Withypit Lane is a virtual site in Central England where the brief is to provide new affordable housing with flexible accommodation. Each recorded webinar covers a different aspect of the design process, including incorporating the existing site survey, conceptual modelling, modules and external referencing, as well as presentation tools.